A SFP (small form-factor pluggable) is compact, hot-pluggable transceiver used for both telecommunication and data communications applications. It is available in copper and fiber. This article will state the procedures for installing, connecting and removing a copper transceiver. 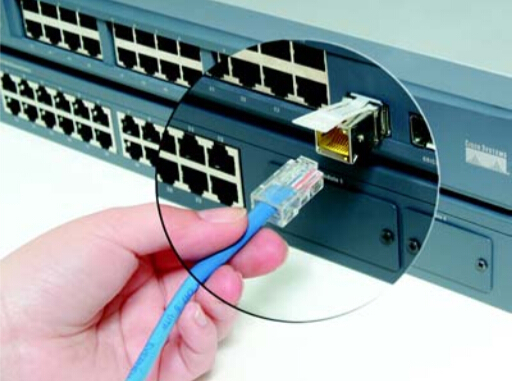 Copper SFP transceiver uses a copper line for linking. 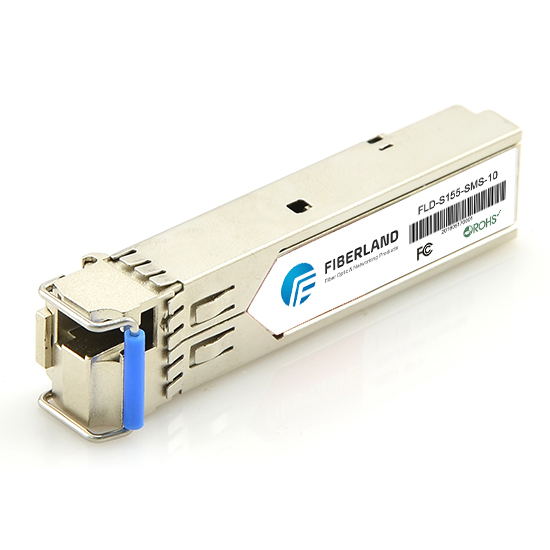 Typical copper SFP transceivers, such as Cisco GLC-T, are compliant with Gigabit Ethernet and 1000BASE-T standard. 1000BASE-T SFP has RJ-45 connector and operates on standard Category 5 unshielded twisted-pair copper wire of link lengths up to 100m. 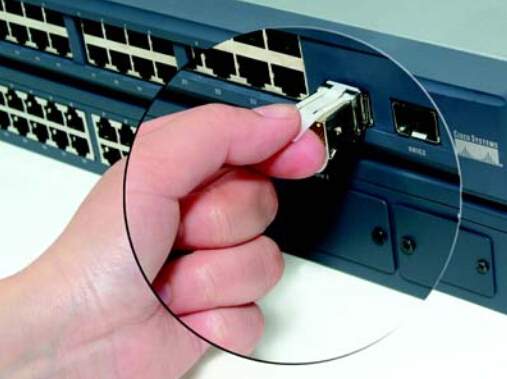 Also, the Cisco GLC-T could bear a temperature range within 0 to 70°C (32 to 158°F). Cisco copper SFP transceiver supports the Cisco Quality Identification (ID). It allows a Cisco switch or router to identify and validate that the transceiver is certified and tested by Cisco. Below picture is a 1000BASE-T SFP+ transceiver. Before installing and using copper SFP transceivers, following guidelines are suggested to read first. Handling Warning: Copper SFP are static sensitive. To prevent damage from electrostatic discharge (ESD), it is recommended to attach an ESD preventative wrist strap to your wrist and to a bare metal surface when you install or remove a copper SFP module. Do not remove and insert a copper SFP more often than is necessary, because repeated removals and insertions will shorten its useful life. Safety Warning: Only trained and qualified personnel should be allowed to install or replace. 1.Attach an ESD preventive wrist strap to your wrist and to a bare metal surface. 2.Remove the copper SFP module from its protective packaging. 3.Find the copper SFP markings on the SFP module. 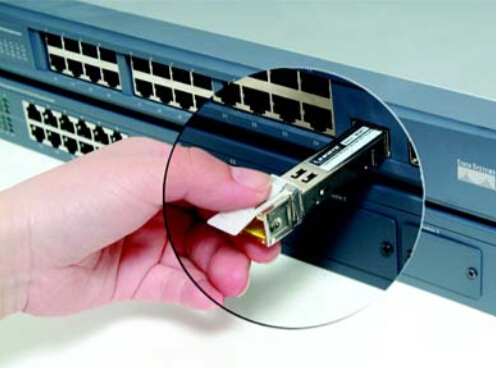 4.Align the copper SFP module in front of the slot opening. 5.Insert the copper SFP module into the slot until you feel the Copper SFP module snaps into place. Warm tip: If the SFP module resists when you push it in, please don’t force it. You can transform it over and reinsert it. 1.Insert UTP cable into the RJ-45 connector of copper SFP module. 2.Make sure to push UTP cable into the copper SFP module with RJ-45 already latched. 2.Disconnect the UTP cable from the SFP module. 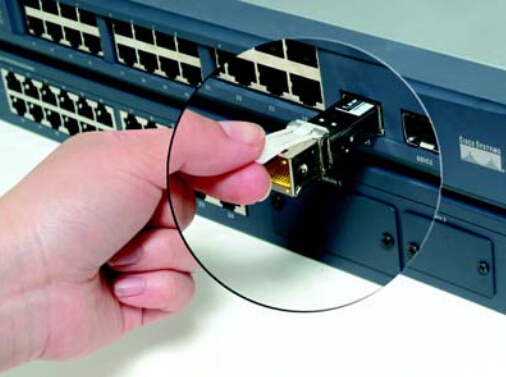 3.Unlock and remove the copper SFP module, as shown in the figures below. 4.Place the removed SFP module within the protective packaging or antistatic bag.